October 26, 2018: Beriev Aircraft Company are to open a naval aviation pilot training center located in in France. 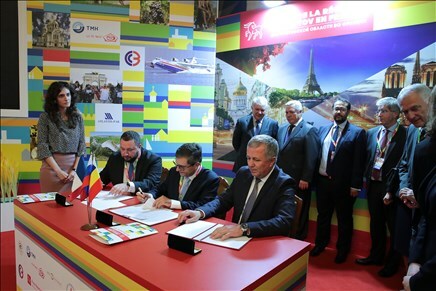 An agreement on the establishment of a joint training center for seaplane pilots in Toulouse, France was signed in the city of Paris on October 24, 2018. The signing ceremony took place within the framework of Rostov Oblast's presentation in the Russian Embassy. The companies will continue to work closely on Beriev's BE-200ES certification under the contract signed during the recent seaplanes show "Gidroaviasalon-2018".